Apple has seeded the fourth beta of iOS 9 to the developers for testing purposes. Conpared with the previous beta version of iOS 9, the fourth iOS 9 version has some new features. There are some major additions, such as the promised return of Home Sharing for Music, and several other minor tweaks intended to refine the look and feel of the operating system, according to MacRumors. Now, we will have a look at those new features. Home Sharing – Home Sharing for music was removed in iOS 8.4 with the launch of the new music app and the new Apple Music service, but iTunes chief Eddy Cue said Apple was working to re-add the feature in iOS 9 and it has, in iOS 9 beta 4.
iPod touch Support – People who purchased one of the new A8-based iPod touch devices last week can now upgrade those devices to iOS 9 beta 4. With this beta, Apple added a new installation profile for the device. Volume Button Photos – In iOS 9 beta 3, there was a bug that prevented the volume button from working as a shutter button for the iOS camera. That’s been fixed in beta 4 and it’s once again possible to snap a photo using the volume buttons on your iOS device. Notifications icon – In the Settings app, the icon that represents the Notification setting has been updated with a new red color. The Battery icon has also been fixed and now has rounded edges instead of square edges. Picture in Picture for Podcasts – One of the iOS 9 features on the iPad is a multitasking Picture in Picture option that lets users watch a video while continuing to complete other tasks on their iPads. As of iOS 9 beta 4, this works with the Podcasts app. Handoff – The Handoff feature in the App Switcher has been moved to the bottom of the app-switching interface. Pull up on the new Handoff bar to open an app. Previously, Handoff was displayed in the app carousel. Apple Pay – There’s a new option in the Settings app for Apple Pay that lets you turn off the feature that allows Apple Pay be accessed from the home screen with a double click. Other features also will be found after test. iOS 9 will be released this fall. 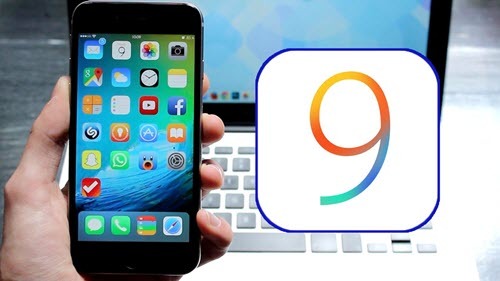 Apple should continue to release regular updates to iOS 9 at two to three week intervals throughout the beta testing period to bring minor performance boosts and changes ahead of the operating system’s official launch. This entry was posted in iOS 9, News and tagged ios 9 beta 4 new features, ios 9 new features by IosdroneD. Bookmark the permalink.